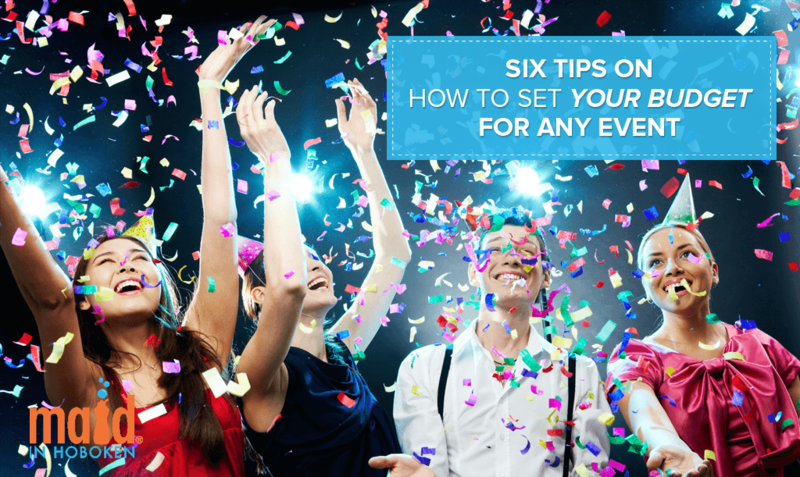 Event planning and setting a budget seems like a daunting task, especially for beginners. Although planning an event is a beautiful process, it certainly takes a lot of effort and time. But there are a few strategies that you can use to keep track of everything. There will be a few bumps along the way, but don’t let it discourage you. As long as you make one that is practical and allows you to plan for emergencies, you’re good to go. 1. Start the budgeting process early. When it comes to planning your budget, do not procrastinate. 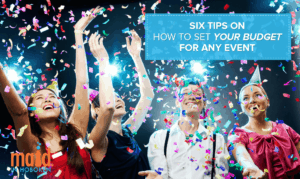 This step is vital in your event planning journey even though it may seem like an intimidating responsibility. You can put together a rough budget draft to make sure your event is feasible. To establish a baseline, you can borrow figures from past similar events. Then fill in the blanks with educated guesses and do thorough research, although you don’t need to spend too long on it. It is, after all, a rough first draft. Once you’ve got something put together, you can run it past your family or friends and get some input. This way, you have a working document to move forward with. 2. Describe the focus of your event. Knowing the focus of your event can help you establish a more realistic budget. Do you want people to remember the ambiance or how delicious the food was? What is your goal? Why are you having an event? These guide questions can help you understand and describe the purpose of your event. If you want a more accurate budget, you’ll need to add more details even the intricate ones. There’s a thin line between being under budget and over budget, so don’t ignore small items. You should always keep in mind that sometimes the cost of one factor is dependent on the value of another. The primary importance of having a focus on your event is to provide the balance of quality in exchange for goods or services. You can avoid buying useless items that can be considered a luxury, not a necessity. 3. Explore all your venue options. Do you want an indoor or outdoor event? There are plenty of venues that you can choose from, but are they the ones that you need? Some of the newer sites are becoming a one-stop event shop that provides you everything that you need for your big event. It will also help eliminate the back and forth in sourcing multiple event vendors. In the long run, these transformations could potentially save you a significant amount of money and time. A win-win situation! Research is a crucial negotiation tool and helps you stay competitive. For anything, you must always get a minimum of three quotes. Never accept the first price. Even if you have a vendor in mind, chances are if you find someone else, your favorite vendor will surely match their price. Don’t forget to add quotes to your budget as a reference. Exercise negotiation often because it is the essential skill of an event planner. If your venue or vendor can’t go down in price, they might throw in something else like free parking for event staff or additional entree option. You could end up saving tons of money if you put a lot of effort researching venues, catering companies, and AV companies. Though a tedious task, it will help you find the best deals when you can compare all your options. 5. But also don’t be afraid to spend. If you have the money for it, you don’t always have to go with the cheapest option. Buying things that are under your budget may earn you a reward from your boss, but the quality is still better than quantity. Adding a little extra money here and there can be different from a common event and an incredible experience. Invest in vendors you know will help improve your event. Make sure to include all income and expenditure when setting up your budget in your spreadsheet. Don’t forget to add details like a staff member renting a car or any item of expense. Be sure to set targets early on, such as the minimum or maximum you want to spend. Use formulas for things like total income, and total expenditure. This can help you save time and makes it easier to see your spending. Sitting down and typing numbers not only allows you to see where your money is going and coming from visually, but it also forces you to think about the focus of your event. It will help you prioritize while planning. For any event, especially if you’re hosting something in your own home, make sure you get professional cleaners to have a go at the venue!